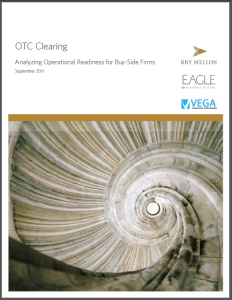 This OTC Clearing white paper was written by Vega Investment Technologies in conjunction with Eagle’s product management team. This paper illustrates how the current progress of implementing OTC derivatives regulations varies widely from country to country. It offers readers a framework to analyze their readiness to process OTC cleared swaps and provides high-level guidelines and steps that Eagle and Vega believe are necessary for successful adoption. Join our mailing list to receive notification on new blog articles and newsletter.